A fudgy brownie cupcake is enough to brighten anyone's day across all age group. I like them because it is somewhere between fudge and a cake brownie. 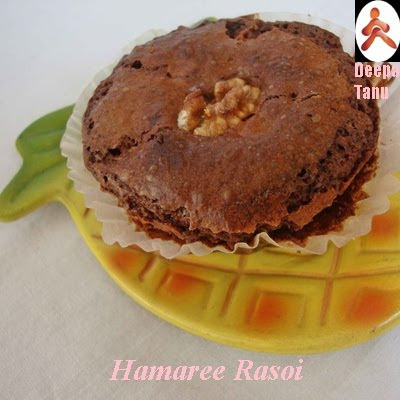 I have been trying to make that 'perfect' brownie and this seems to be "The One". Soft, thick, fudgy and chocolatey. Preheat oven to 180'C for 10 minutes. Grease 15 muffin cups. Sift flour and salt. Melt chocolate and butter by a double boiler process. For that you need a saucepan and another glass bowl that fits securely over the saucepan. Fill the saucepan with little water and bring to a simmer. The amount of water should be such that the saucepan shouldn't touch the bottom of the glass bowl. Place chocolate and butter in a separate glass bowl (or stainless steel). When water comes to simmer, turn off the heat (as too much heat can scorch chocolate) and place the bowl on top of the water. Stir to melt over gently (indirect heat) and leave it to cool. Sorry folks, forgot to take a picture of this step but next time when I will make this again I'll attach the picture here. Beat the eggs, add vanilla extract and sugar in a large bowl until well mixed. Add the walnuts, chocolate mixture in it and stir in the flour. Mix gently until blended. I have read it somewhere that for brownies, once you add the flour it's better to mix it as little as possible. Because mixing the flour for longer period may develop gluten and you will end up with a tough brownie, rather than a tender one. Fill muffin cups about 1/3 full. Sprinkle walnuts over the top of the unbaked cupcakes for decoration. Bake for about 15-20 minutes, until cupcakes are shiny and cracked on top, firm around the edge but soft in the middle (you can check it by inserting a toothpick in center if it comes out clean it's done then). Remove the cupcakes from the oven and cool completely. Serve. This post goes to Champa's Bake-Off event. Lovely cup cakes.. looks so soft n tempting..absolutely perfect clicks!! Yummy cakes.would be perfect with a hot cup of tea. The cupcakes look so yummy..I would like to have them with a cup of tea or hot chocolate may be ;) What do you have in your coffee cup? 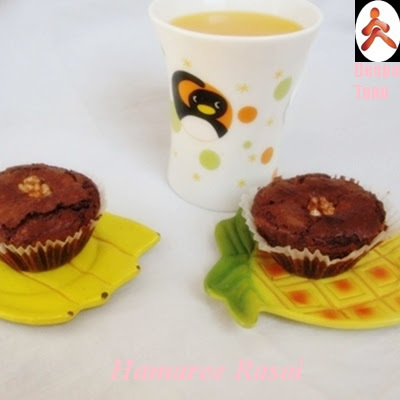 cup cakes looks soft and yummy...perfect with a cup of tea..
brownie cupcakes is such a wonderful idea! brownies are my favorite chocolaty treats and I am sure to love this too. Thats a droolworthy cupcakes..looks fabulous..
Look sand sounds very nice! Fudge brownie cupcakes, simply looks awesome..nice clicks.. Cannot get my eyes off them,bet it would have tasted heavenly.Wish to grab those delectable brownie cupcakes dear.Have a gr8 weekend. Cute cup cakes! Looks really soft.. Very nice ones. I am off bakingf for many decades now. Just tempted to start all over again. Tomar comment dekhlam...ektu busy achhi..roj blog khule sab PoDe parina. AMi ek din er jonno venice jachhi, bore hoe gechhi..Venice ag-e gechhi, it is like a dream land..but one get bored after a day ..
fo cpurse photo pathabo...AMi tomar E mail address khuj-chhilam to mar blog-e..to send some photo of a carnival in Bergamo..
wow very tempting cup brownies....so soft n yummy...loved them.. 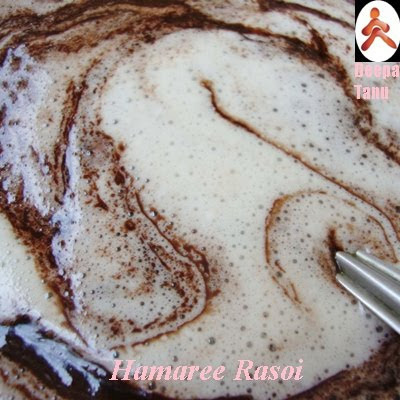 Loved the recipe and nice blog.. Please let me know where can I get these muffin cups in bangalore as you shown in the pic. I saty in Indiranagar. Do you bake the muffins in the same cups? Waiting for the reply, gonna make it soon..
First time here ... you have a lovely space. Brownies look tempting and delicious.